Do you love adventure? If so, then you will definitely love Australia. Australia is a beautiful country brimming with tourist attractions but what makes it even more appealing is the fact that it offers a plethora of off road tracks for adrenaline junkies! In order to fulfill your quest for adventure, all you need to do is to gather a few friends, find a dependable off road 4wd hire company and you are all set to go! Aside from its open paved and vast roads, Australia is known to offer the best off-road tracks in the world. Australia has over a hundred outback 4WD trails and tracks that will lead you to grasslands, deserts and mountain ranges. Before you book that ticket and pack your bags, make sure you include these off-road tracks in your itinerary. The best time to travel in Canning Stock Route is during the months of May to August. Canning Stock Route is known for its secluded off-road tracks. It used to be an old stock route with a track that trails a string of wells that were used to provide water for livestock. Now, because it has become a popular off-road track, the wells are now being used as a water source for trekkers. The entire distance is about 1800 kilometres. 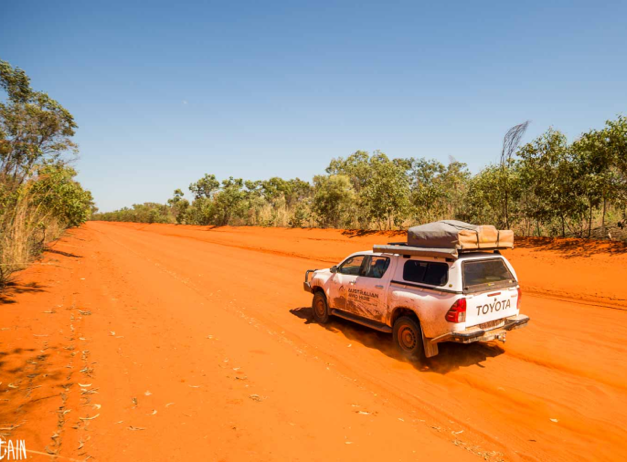 It is important to know that you won’t be seeing any emergency support centres along the way because it’s a very isolated route and it traverses a number of deserts such as the Little Sandy Desert, Great Sandy Desert and the Gibson Desert. In case you are interested in discovering the place, make sure you pack all the necessary emergency supplies in your backpack. Since it’s a very isolated place, it is not recommended that you travel alone. Our best suggestion is to convoy with at least two to four vehicles. It also helps if you monitor the weather a few weeks before the trip sine the northern part of the route can become impassable when it rains especially the areas around the salt lakes. Located in Kununurra to Derby, the distance travelled is approximately 930 kilometres. The best time to travel to the Gibb River Road is from May to September. The road follows the trail of the Kimberley region and it offers the best landscapes with expansive cattle stations. Once you’re there, make sure you bask in the beauty the place has to offer. Don’t be in a rush. Take the time to enjoy the falls located at Mitchel Plateau as well as the Native settlement of Kalumburu located by the sea. Even though it’s a remote area, because of its popularity, the place can get extremely packed during peak season. If you don’t like huge crowds, we suggest you travel in the months of April up to October. However, just make sure that you call in advance to have the road conditions assessed because they usually close it during the rainy months, which could last from December up to March. Located at Mt Date to Timber Creek with a distance of 2191 kilomtres, the best time to travel to Binns Track is in the months of April to August. This off-road track is named Binns because it was named after Bill Binns, a park ranger who was in service for more than three decades. This track is famed for its varied terrains while cutting through deserts, mountains and plains. It can be a very challenging track to follow because of the rough rocks and the sandy slopes. Nonetheless, it is the challenge that attracts outback adventurers to explore the Binns Track. Another important reminder, make sure you check the weather conditions a few weeks before your travel date so you can make the most of your outback adventure. The suggested minimum travel time for this track is about three days with a distance that spans a total of 306 kilometres. The best time to travel to the Victorian High Country and Billy Gloats Bluff is during the months of December up to April. If you’re looking for a unique outback adventure, this is the place to go. It can be very challenging but it’s a challenge you’d want to take as it offers great views as you go along the ridgelines. You’ll also encounter deserted mining towns along the way. Before you start your outback adventure, just ensure that you have the right type of vehicle for safety reasons and so that you could fully enjoy your travel.